I like knowing the future. It makes me feel powerful. That is even the case with meal planning. I know I'm pathetic. I'm just grasping for control in a chaotic blur known as my life. When Teacher Man and I were first married, a couple from our church took us under their wing and mentored us in everything from parenting to budgeting. A couple of weeks into our marriage, I confessed that I was frustrated by the fact that our nearest grocery store was 20 minutes away. The wife taught me how she laid out her meal plans every two weeks so she only had to drive to the store biweekly. Brilliant! 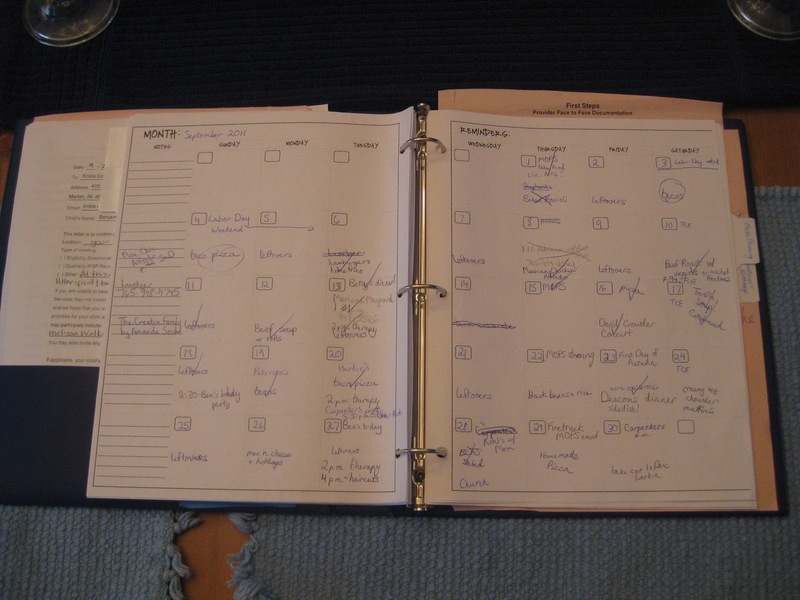 I used to use a separate meal planner, but I've discovered it's easier to use my regular calendar, planning easy meals for days with the most commitments outside of the home. Plus, that allows me to see if we have any parties or birthdays that I need to shop for as long as I'm in the store. 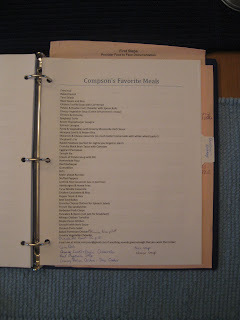 I have a list of meals that I know our family likes (about 50). and simplify your kitchen. and your home. Trust me. Everyone will be happier. 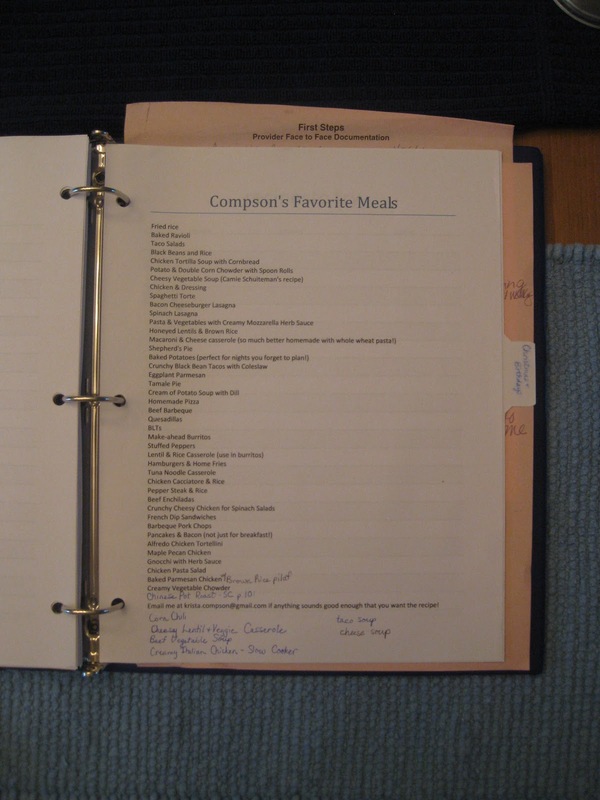 Okay, so now you have your dinners and your ingredients for those dinners written down. If you didn't think about side dishes, do so now. Think about bread/grain, veggies, and fresh fruit. Also, think about whether the troops will revolt if you forget about dessert. Take a moment to put a couple special desserts in the weeks. 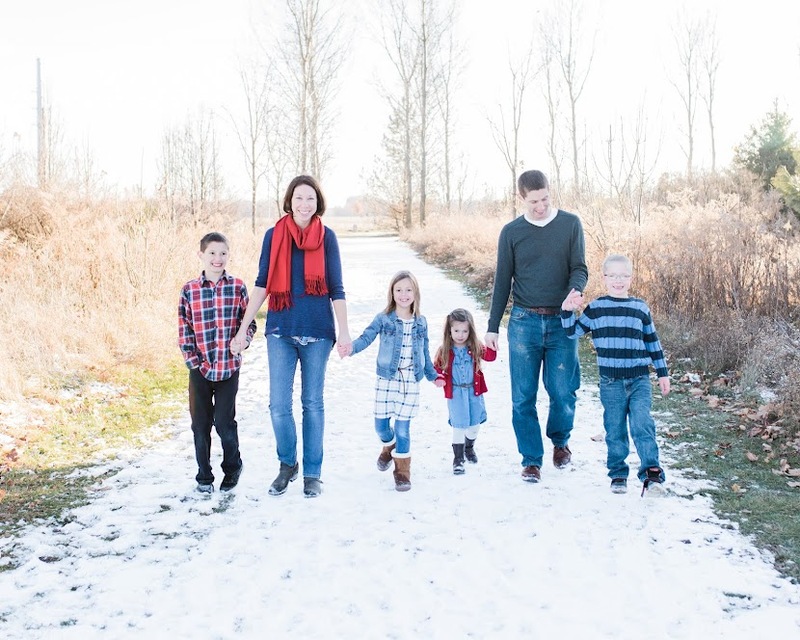 Your crew will thank you, and you'll feel better about yourself as a mom. Have you written down all the ingredients for the sides and desserts you plugged into your calendar? Good. Also, do yourself a favor. You know an emergency is going to come up so buy yourself some pasta sauce and frozen ravioli for that ugly night (or maybe a frozen pizza or two). You know the one I'm talking about. The one where you want hot carbs and cheese, but you might kill Betty Crocker if you have to think about opening a cookbook. Meijer frozen pasta is on sale this week, and it's yummy! Just sayin'. Lastly, I think about breakfast and lunch. Lunch around here is normally sandwiches (meat, cheese, PB, bread, lettuce), yogurt, fruit, carrots or celery, and applesauce. I check my staples and add any extras to the list. I buy an obscene amount of bread at Aldi. Their wide-pan bread is only $1.69/loaf and is so filling. I once saw a demonstration as a home economics teacher squeezed all the air out of a loaf of "normal" store-bought bread. There was nothing left! It was all air! Now...I'm raising men. Men need really manly bread. Or at least that's what they tell me. So we spring for the bread that has some extra bulk to it since I don't feel up to making all of our bread from scratch. I'm just not there yet, Katie. Let me get both boys potty-trained. So anyways, I freeze at least four loaves of bread to get us through two weeks, plus the one in the cupboard. Also, breakfast tends to be simple. Pancakes, toast, cereal, bananas, oatmeal, juice, milk, and coffee. Heaven help us all if I forget the coffee... or the pumpkin spice creamer. I am not blessed with perkiness in the morning. After inventorying these essentials, I add any necessary items for breakfast and lunch to my list. This is the time to look at your baking goods, toiletries, and household items to see what needs to be refilled. Here's where the money savings come in. Now I go to my computer and look at the sale bills (normally for Meijer and maybe Marsh). Anything at an extraordinary price, I buy in bulk. Normally these items include chicken breasts (which I trim and freeze with 3 in a bag), frozen foods, and household items. Don't feel bad for spending a bit extra on one trip if it means that the next trip will be super low! These items will become the basis for your next two weeks of meals. We had the opportunity to buy a ton of family farm-raised 90/10 ground beef at $2/ lb. Needless to say, I have a freezer full of ground beef right now. Did I hate seeing that amount come out of my food budget? Yes. Are my bills lower now that we don't have to buy hamburger? Absolutely. Then check the sale bills and write down things that you'll use that are at an extraordinary price. Now make yourself a friend. I mean a really good friend. One that loves you and loves your littles. Now leave your littles at her house. (See! I told you she needed to be a really good friend!) And go to the store and fill your cart to the top so that trips to the store don't have to interrupt your life for the next two weeks. One time, I took both boys (Caleb in the cart seat and Ben in a Bumbo seat in the cart), and I literally considered stacking cereal boxes on top of Ben's head... just for a moment. THAT is how serious I am about getting my shopping DONE. My poor children. For those of you who were concerned, no, I didn't actually put the boxes on his head. For those of you who know Ben, you know he would just giggle and chew on the boxes. Also, I have given myself permission to only go to two stores every two weeks. Normally this means I go to Aldi and get things at a good price that aren't at an amazing price at Meijer. I have also given myself permission to run across to the store (we now live next door to the grocery) after a week has gone by to get more fresh fruit. I wouldn't want to get scurvy, would you? It sounds terrible. Other than that, I try to steer clear of the grocery store. If I'm there, I spend money. If I'm not there, I get to keep the money. And if I'm planning for what we'll eat, I've saving money by buying wisely... I'm also feeling pretty powerful, but I think I mentioned that before. If that seems like a lot, I'm sorry. It takes me about 45 minutes to get this all put together (and to grab appropriate coupons) and 1-2.5 hours to do all the shopping. But think of all I save! Time loading and unloading children, energy charging through the store to grab last minute ingredients for supper, money spent on convenience foods or even fast food. These savings (and the awesome feeling of power) have me hooked on my system. Hope it saves someone a few minutes that are much better spent playing Go Fish with your preschooler or snuggling on the couch with your husband. Speaking of which, I'm off to do my dishes because the daylight hours belong to my men. Eat well, friends! Thank you for this post! Grocery shopping day is in a about a week and I am excited to try this out! If you think about it please pray for me to be diligent about this! Blessings as you eat well!